Ozamiz (Cebuano: Dakbayan sa Ozamiz, Filipino: Lungsod ng Ozamiz; Spanish: Ciudad de Ozamiz) is a city in the southern part of the province of Misamis Occidental, Philippines. According to the 2015 census, it has a population of 141,828 people. Although occasionally spelled as Ozamis in official sources, City Resolution 251-05 officially spelled Ozamiz with a "z" as its last letter rather than with an "s". Ozamiz is close to Zamboanga del Sur and Zamboanga del Norte provinces, while across the bay is Lanao del Norte. Ozamiz is 52 kilometres (32 mi) from Maria Cristina Falls, the main source of hydroelectric power in Mindanao. Ozamiz is politically subdivided into 51 barangays. The city of Ozamiz grew out of an old Spanish town called Misamis—a name believed to have been derived from the Subanen word "Kuyamis," a variety of coconut. Other unverified historical sources, however, suggest that the name Misamis came from "Misa" after the Catholic Mass. 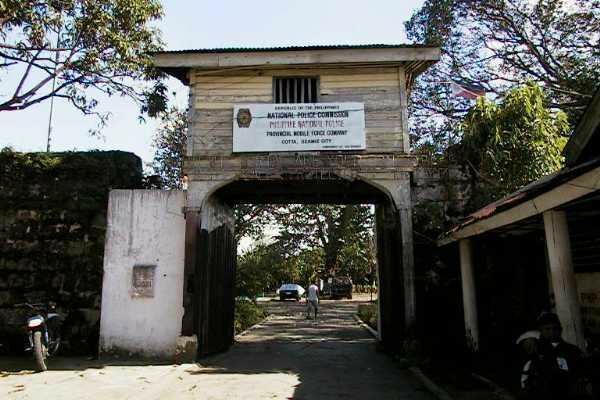 The origin and the growth of the old Spanish town, Misamis, was due to the presence of the Spanish garrison stationed at the stone fort named Nuestra Senora dela Concepcion del Triunfo, which was constructed some time in the 18th century in order to control the pirate activities originating in the nearby Lanao area. In 1850, the town of Misamis became the capital of the District of Misamis. In October 1942 Wendell Fertig established the command headquarters of the growing guerrilla resistance to the Japanese occupation of Mindanao in the Spanish fort in the city. His headquarters was abandoned June 26, 1943, in the face of a large Japanese attack. Until the end of the war the Japanese occupied this fort. The Ozamiz city website said of this, "During the Japanese occupation of Misamis in World War 11(1943-1945), the "Cotta" was garrisoned by a contingent of Japanese who dug foxholes near or under the walls. This undermining of walls later led to the destruction of the Southwest bastion in the earthquake of 1955." After the Second World War, Misamis became a chartered city by virtue of Republic Act 321 on July 16, 1948. RA 321 also renamed Misamis to Ozamiz after a WW-II hero José Ozámiz who hailed from the province of Misamis Occidental and who at one time also served as its governor and congressional representative of the Lone District of Misamis Occidental, a delegate to the 1935 Constitutional Convention that resulted in the creation of the 1935 Constitution for the Philippine Commonwealth Government. In 1941, José Ozámiz was elected to the Philippine Senate. On July 30, 2017, 2:30am (PST) the mayor of Ozamiz, Reynaldo Parojinog Sr., his wife, brother, and their security guards were killed during a police raid. Parojinog was among the more than 150 officials Duterte publicly linked to drugs in August last year as part of a shame campaign. In the 2015 census, the population of Ozamiz was 141,828 people, with a density of 830 inhabitants per square kilometre or 2,100 inhabitants per square mile. Ozamiz is agricultural by resources, but it has become the center for Commerce, Health, Transportation, and Education in this part of Mindanao, considering its strategic location and its peaceful atmosphere. 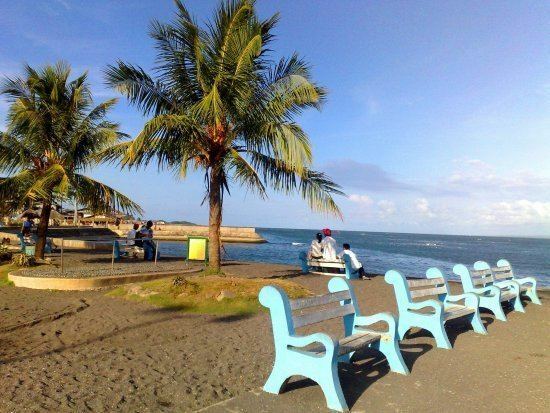 The city has good harbor location, its local port is the principal outlet of mineral deposits, agricultural and forest products of the provinces of Zamboanga del Norte, Zamboanga del Sur, Maguindanao, parts of Lanao del Norte and Misamis Occidental. Due to the location of the city, Ozamiz enjoys several and notable malls and shopping centers within its city center. People coming from Misamis Occidental, parts of Lanao del Norte and parts of Zamboanga del Sur will come also to Ozamiz for their shopping needs. Gaisano Capital Mall Ozamiz is noted as the biggest mall in the city with the expansion of a new South Wing Mall in 2011. Novo Ozamiz also expand and construct their own bigger building with a hotel named Asia Novotel in 2010. Unitop Ozamiz also expand their building in 2012 in front of City Public Mall with a bridge/sky walk for an easy access from the 2nd floor of both buildings. City Public Mall, formerly known as City Public Market, is the biggest public establishment in Northwestern Mindanao. It is owned and managed by the Local Government Unit of Ozamiz and opened on May 28, 2009. Robinsons Supermarket opened to the public on November 30, 2012. The feast of Our Lady of Triumph of the Cross at Cotta Shrine is celebrated every July 16 which is also the Charter City anniversary. 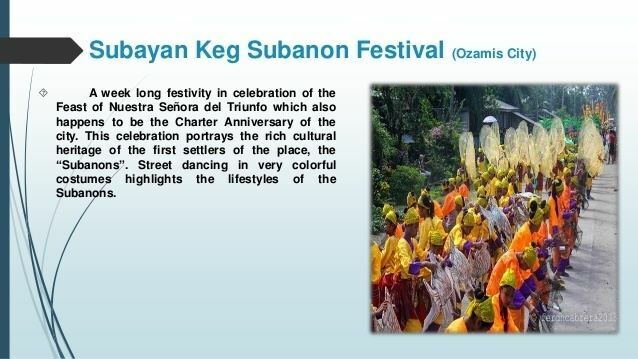 Subayan Keg Subanon festival is also held on the same day. The Cotta entertainment area has free live band concerts and other musical variety shows each weekend. Fireworks displays are held at Cotta during Fiesta and holidays. It can be seen across Panguil bay as far as Lanao del Norte. The feast of Our Lady of Immaculate Conception is celebrated every December 8 while every 4th Sunday of January is the Sr. Sto. 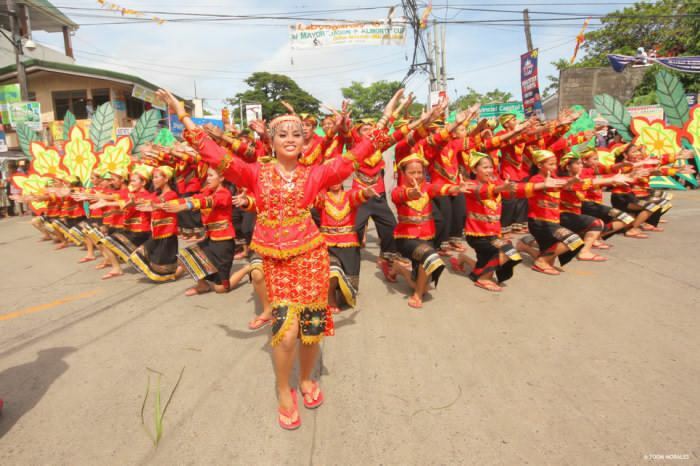 Nino Fluvial Parade held at Panguil Bay. Balanghoy Festival is held annually at Cotta area. 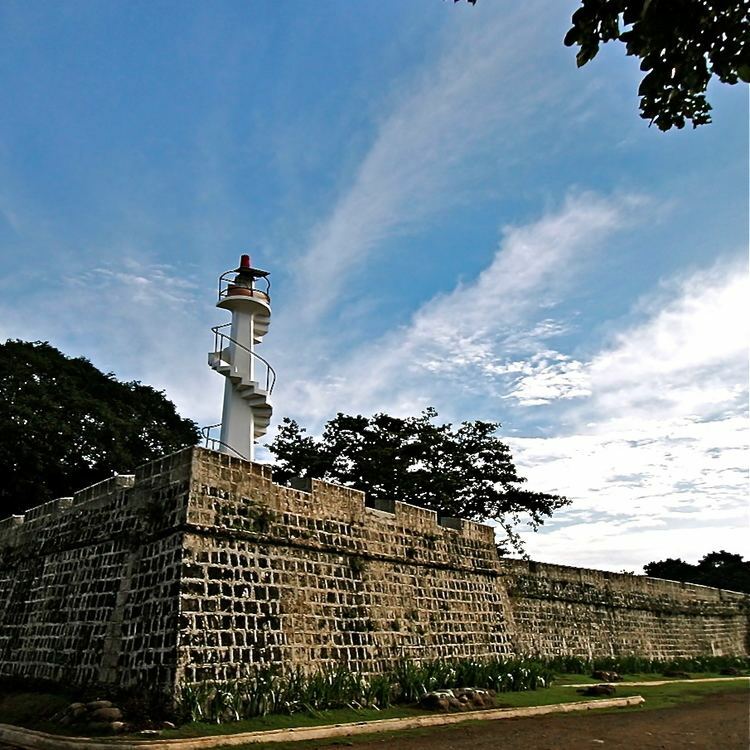 Fuerte de la Concepcion y del Triunfo – also known as Cotta Fort and Shrine, is a fort built in 1755 by Father Jose Ducos to serve as a Spanish outpost in the area. A special chapel was built inside the walls of the fort and an image of the Virgin of the Immaculate Conception, in the pink and blue attire, was enshrined in the chapel and outside the fort on the wall facing the bay, was a carved image of the Virgin Mary. The image on the Cotta's wall is believed to be miraculously growing and has been the object of pilgrimage. The fort was renovated and restored to its original design in 2006. Cotta will undergo improvement and development with construction of a boulevard with a Spanish galleon replica, cotta park with parking area, a mini commercial complex for food stalls, ticketing offices, restos, cafes and souvenir shops. Bukagan Hill – has a view of the city, Panguil bay, the provinces of Lanao del Norte and Zamboanga del Sur. There are four great bells at the top of Bukagan Hill. The bells were named after "St. Peter", "St. Marien", "St. Joseph" and "St. Michael" and were originally purchased by Bishop Patrick Cronin, D.D. for the Immaculate Conception Cathedral. However, the bells weigh 7 tons and were found to be too heavy and too large for the cathedral's belfry. The people felt that it was very expensive to construct a special belfry for them considering that a lot of fund raising effort was made for the building of the cathedral and the installing of the pipe organ. It was through the efforts of then City Mayor Fernando T. Bernad that the bells were finally given a place at the Bukagan Hill. With the help of Jesus Y. Varela, the huge bells were installed in Bukagan Hill Bells and officially inaugurated on July 16, 1948. Naomi's Botanical Garden and tourists Inn – sits on a 12 hectare property of local and imported tropical flowers, plants and fruit seedlings. There are fully air-conditioned private rooms, Function halls, tennis court, Golf range, ceramics factory, pottery and a bakery inside this sprawling garden. Mt. Malindang Golf and country Club – this is a pre-war army facility converted into a golf course located in Bagakay at the foot of Mount Malindang. Immaculate Conception Pipe organ – found in the choir loft of the Immaculate Conception Cathedral, is the only existing pipe organ in Mindanao and one among the few throughout the country. An Irish Columban priest, Father Sean Lavery, who was in charge of the liturgical and musical development in the Immaculate Conception Cathedral realized the need for an organ. Funds were raised through donations and a musical extravaganza organized by the parish raised enough money to buy the pipe organ. Father Lavery asked the help of a German priest, Father Herman Schablitzki S.V.D., who came to Ozamiz to get the specification needed to guide the organ builders in Germany. Father Schablitzki himself, assisted by one carpenter and one electrician, assembled the organ in six weeks and it was completed on May 31, 1967. It was inaugurated on July 16, 1967; the feast day of Our Lady of Mount Carmel. Ozamiz Airport (also known as Labo Airport) was reopened last July 5, 2007, 9 years after Philippine Airlines (PAL) stopped their operations using Fokker 50 and Sunriser planes and eventually went the airport to its closure due to its short runway in which cannot accommodate jet planes. Air Philippines, (a subsidiary airline of PAL) was the first airline served the airport for Manila using B737-200 which is also the first jet plane to land the airport while PAL Express (another PAL subsidiary), was then served direct flights to Cebu again using their Bombardier Q400. PAL's competitor, Cebu Pacific later opened their service in Ozamiz with its first flight to Cebu on November 10, 2008 using their brand-new ATR72-500. With high demand of passengers, cargo and tourist arrivals, Cebu Pacific then launched its Manila route with their Airbus 319, while PAL took over Air Philippines service to Manila using also the Airbus 319 last June 16, 2009. When Air Philippines took its rebranding as Airphil Express (now PAL Express), it then relaunched its Ozamiz to Manila flight last August 18, 2011 using their Airbus A320. It then forces Cebu Pacific to change its aircraft to replace all of their ATR72-500 that serves Ozamiz Airport to an Airbus A319 and Airbus A320. Despite fierce competition between PAL and Cebu Pacific, PAL ended their operations in Ozamiz last March 25, 2012, leaving their affiliate PAL Express to compete with Cebu Pacific. Since then, the competition between PAL Express and Cebu Pacific became the duopoly in serving to and from the airport. Ozamiz Airport will undergo a P300M expansion and development with installation of runway lights, extension of runway from its current of length 1.9 km to 2.1 km and construction of a new passenger terminal building. There are several major shipping lines serving Cebu, Manila and Iligan routes namely: 2GO Travel (formerly SuperFerry, Negros Navigation and Cebu Ferries), Trans-Asia Shipping Lines, Cokaliong Shipping Lines, Carlos A. Gothong Lines, and Philippine Span Asia Carrier Corp.(PSACC former Sulpicio Lines). Cokaliong Shipping Lines increased their Cebu service from thrice to 5 times weekly. Local shipping lines like Daima have trips from Ozamiz to Mukas, Kolambugan, Lanao del Norte routes through Roll-on/roll-off (RORO) ferries that transport passengers, cars/trucks and goods across Panguil bay. The public mode of transportation within the city is by trisikad/pedicab and motorized tricycle, while Rural Transit, UV Express, and public utility jeepneys such as Lotradisco were the predominant transport for interprovincial routes, to and from the city. The presence of two universities in Ozamiz, La Salle University, formerly known as Immaculate Conception College (ICC) and Misamis University, makes it a premier education center in Northern Mindanao. Students coming from Lanao del Norte, Zamboanga del Sur, Zamboanga del Norte and Misamis Occidental come to Ozamiz to pursue their college education. Misamis Union High School formerly Misamis Chinese High School. This is the only Chinese School in Misamis Occidental. Mayor Hilarion A. Ramiro Sr. Medical Center (MHARS MC)- a 500-bed capacity tertiary hospital owned by the Dept. of Health. Misamis University Medical center (MUMC)- a tertiary hospital located at Brgy. 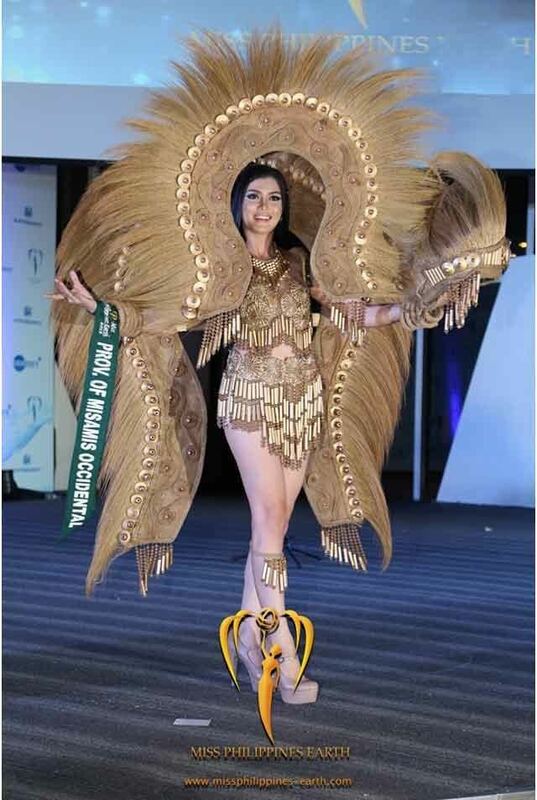 Bagakay. Medina General Hospital- a 200-bed capacity tertiary hospital located at Brgy. Carmen Annex. *Acting in capacity, while Nova Princess Parojinog and Ricardo O. Parojinog cannot fulfill the role of Mayor and Vice Mayor while in detention.